The abridged version is that Astudillo is a multi-positional marvel who is primarily a catcher, nearly impossible to walk or strike out, and of a mirthful and jolly countenance that the internet seems to enjoy more than anything else in the sport. There are baseball players named, like, Brandon Dallard who will come and go without doing a single memorable thing, and they’ll need to carry a baseball card in their wallet just to prove to their parents that they really did make the majors. And then there is a player like Astudillo, who is already a cult hero. That picture up there is of Astudillo’s first home run, and it captures an awful lot of the fun involved. After not smiling around the bases — and baseball players trying not to smile after their first home run is one of the purest moments on any baseball field — he lets the smile fly in the dugout, and the picture captures the sense of wonder in his eyes and the pure enjoyment in his face. 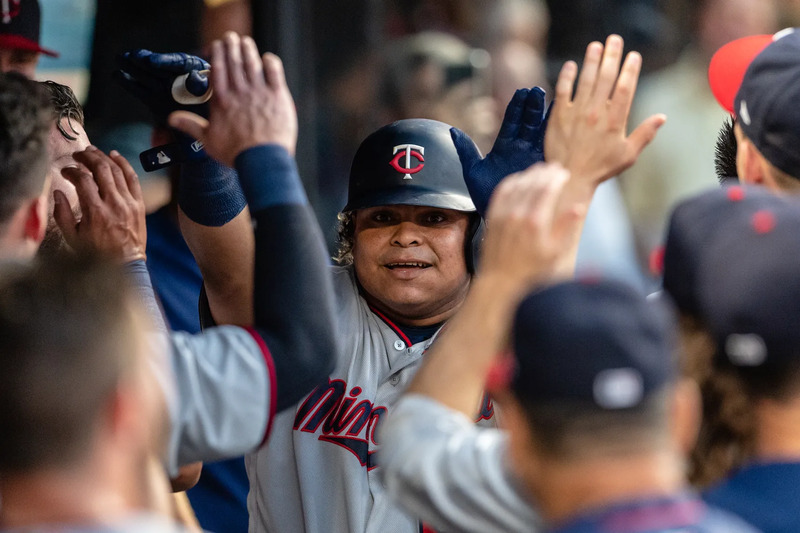 If there were no Willians Astudillo, we would not have to invent him. He would just not exist, and our lives would be that much more drab. But he does exist, and he tends to make baseball more fun. Here’s a picture capturing that, and it’s glorious.